I’ll come right out and say it: I hoard BB creams. I mean, I hoard makeup in general but I’m sure I have enough BB cream stashed away in my room to last me an entire year (if not more). Honestly! I haven’t bought a single one in a long while though. The last time I did was probably some time last year. I think it’s because I’m finally over my BB cream obsession phase. Oh, don’t take it the wrong way. I’m definitely still going to be buying them every now and then! It’s just that I won’t be snatching every single, new one off the shelves from now on. 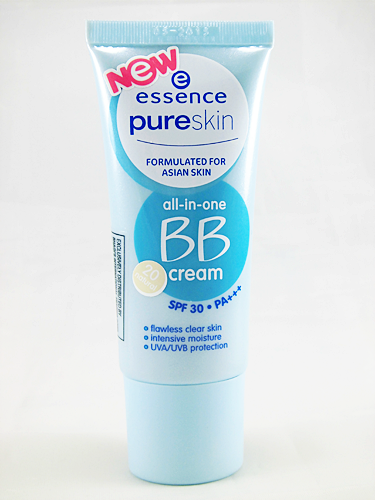 Speaking of my BB cream stash, one of the many that make up my collection is this Essence Cosmetics PureSkin All-In-One BB Cream. 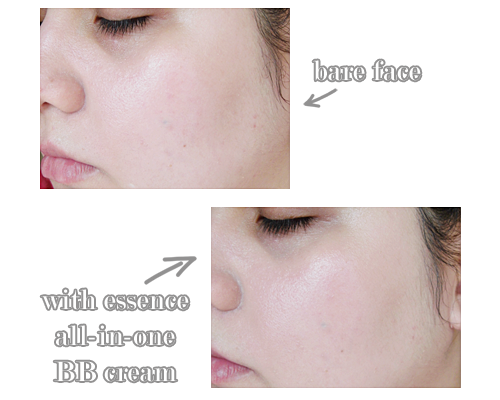 essence all-in-one BB cream acts as moisturizer, make-up base or foundation. Its oil-free formulation covers imperfections and provides a flawless clear skin without clogging pores. Contains moisturizing agents to smoothen skin. SPF30/PA+++ protection prevents skin darkening. The Essence PureSkin line is targeted towards those with problem skin. The line consists mostly of of anti-spot or anti-acne products. Though this is technically part of the line, it’s being sold as more of a just regular BB cream since essence already has an anti-spot BB cream. I really like the light teal color of the squeeze tube, and the tube itself contains 30ml or 1.0 fluid ounce of product. In fact, the packaging caught my eye almost right away which is initially what drew me towards the essence counter in the first place. Plus, the moment I saw those two letters, I knew I had to check it out. I told you, it was an obsession phase! You don’t get a whole lot of product, but I don’t think it’s something you’re going to have to scrimp on even if you use it everyday, especially if you don’t have much to cover up in the first place unlike me. I have a lot of BB creams around this size anyway and they all still manage to last me a good while, even with almost daily usage. The BB cream comes in three shades: 10 Light, 20 Natural, and 30 Medium. I swatched all of them before purchasing and 20 Natural seemed like the safest bet to me so that’s what we have here. I was relieved to see that it seemed to have a good level of yellow undertone to it because even if my face is lighter and more pink-toned, I need to match my makeup to my slightly warmer and very yellow-toned neck. Be a tad careful when squeezing this out of the tube though as the nozzle has quite a large hole, so it’s easy to dispense more than needed. 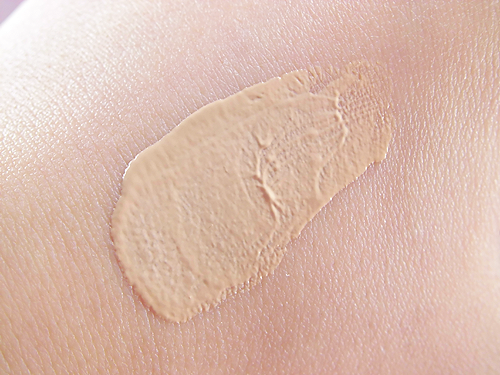 The formula is creamy, but not thick at all which makes blending it into the skin easy. 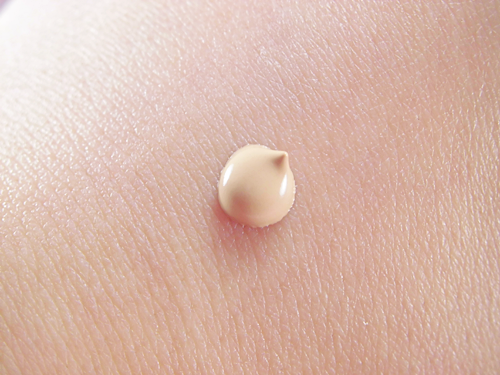 It claims to be free of perfume, but it does have a faint, sort of plastic-y scent to it that I find common in a lot of BB creams and foundations. That’s the best way for me to describe it. The fact that it’s quite light in consistency too makes it perfect for our hot and humid climate. It pretty much feels like you’ve got nothing on. It sets fairly quickly on skin too once blended out, so within five minutes (give that you’re in a relatively cool environment) you can move onto setting it with powder if you want. If you know me (or at least my blog) well enough, you’ll know I like my BB creams, foundations, and what have you with medium coverage at the very least. I only opt for light to sheer coverage if I’m just stepping out of the house for a few hours or less. This BB cream has light coverage. It’s not quite sheer since it was clearly able to even out and brighten my complexion as well as slightly minimize the appearance of blemishes, that includes my sebaceous filaments, but it doesn’t really cover per say. I still very much need to either reach for a lot of concealer, top this off with foundation, or set it with a medium to full coverage powder. The product can also very easily cling to or emphasize dry patches, as you can see around the corners of my nose, so make sure to moisturize and buff your skin properly before applying this. Shade match, on the other hand, could be better. If I apply a lot, which I usually do when it comes to BB creams, then it does look a little too white on my face. Thus I have to either apply it minimally or do my best to correct it with a powder that’s a shade darker. It only looks the most obvious under full-frontal natural light though, not so much under artificial light. I’m sure I’d get a more perfect shade match if I mixed this shade with the darkest one available. Speaking of light, expect some slight white cast with this (particularly if you apply liberally) because of the Titanium Dioxide present in it. The pretty high level of SPF present should already be a clue! At least I know my skin is protected sufficiently from the sun with this on. Staying power is so-so overall. On its own, it can last about 3-4 hours more or less before it starts to show signs of fading, especially where you tend to get oily since oil just seems to make this melt off skin. Sweat too! Don’t expect this to last if you know you’re going to be sweating it up at some point. My t-zone is naturally oily, and it’s on my nose where I see it start fading first since my sebaceous filaments will start peeking through again. With a good primer and setting spray, I’d say you get an extra hour or two before the fading comes about. Either way, at the end of a full day, there’s always hardly any product left showing up on my makeup wipe once it comes time to clean my face. I’m not quite sure what essence means when they say this was “formulated for Asian skin”. If they meant it in terms of shade then I’d have to disagree considering how limited it is. The range is not friendly in a country like this where most women have warm and deep skin tones. Even the darkest shade, 30 Medium, seems like it would only suit those with slightly tan complexions and nothing more than that. If instead they meant it was formulated for Asian skin because it’s oil-free, as I know many Asian ladies complain of oily skin, then I have to disagree as well because in my experience, oil just seemed to break down the product faster. Whatever their explanation is, this is a good BB cream for you if you’re the kind that likes sheer to light coverage and don’t mind that it won’t last most of the day. Its subpar staying power and the fact that it can easily emphasize dry areas are the main reasons I won’t re-purchase this as I do like the good level of SPF it has and the fact that it didn’t make my T-zone oil up more or faster than usual. I just would not recommend this if you have really oily skin (take note that this has no oil control either) and/or tend to sweat quite easily (like me). It has a good level of sun protection with its SPF30/PA+++ that protects from both UVA and UVB rays. It has a light and creamy consistency that’s easy to blend. Slightly minimizes the appearance of pores and blemishes. Evens out and brightens my complexion. Pretty affordable for an imported brand. Coverage is too light for me. Can easily cling to dry patches or emphasize dry areas. Staying power is just okay. The presence of oil and/or sweat made it fade faster for me. Can give off a slight white cast.